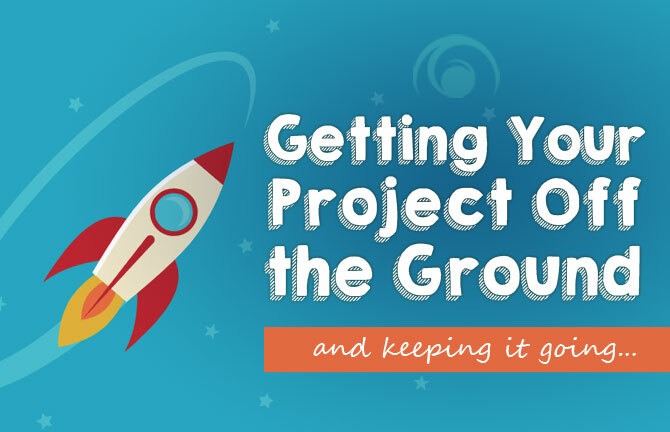 Getting Your Project Off the Ground – and Keeping It Moving! Where do we start?! It’s a question that’s sure to come up once a client decides to hire an agency. The project is complex and every aspect is absolutely crucial to the client, leaving them feeling understandably overwhelmed. But that’s exactly why they need an agency’s help in the first place. The task at hand requires heaving lifting — but at Array we have a proven process and an amazing team that will carry the load. Start with a familiar face. The best place to start any project is always with the client, sitting face-to-face with their decision makers, asking questions and listening very, very carefully. The Array Process utilizes project launch documents specifically designed to encourage client participation and spur debate. The goal is to learn as much as possible about current brand perceptions, future brand aspirations, competitive threats and the target audience. At times this “soul searching” process can be intense, but the most successful creative solutions are always grounded in a deep understanding of our clients and the challenges they face. Stay on course. There will always be pressure from both internal and external influencers to skip straight to the creative. As tempting as that may be, it is critical to stay the course. The Array Process was developed over years of real-world brand building and product development. It captures the client’s differentiating BIG IDEA and identifies the intricate moving parts of a project. The Array Process simplifies and compresses large, complex projects into a series of manageable tasks, laying the groundwork for progress. Commit to making decisions. Now that the project is in full motion, at this stage of the Array Process commitment from all parties is essential. We have assigned deliverables and built a timeline that everyone can live with. The most common cause of project stall (or even derailment!) is not including key decision makers in conversations. That’s why we schedule creative reviews well in advance, making sure to include the appropriate individuals, leaving the team prepared to make key decisions as they arise. Enjoy the results. In the end, there’s no room (or time) in any project for pretentiousness. Life is too short for that! Ask the right questions, listen very carefully, actively participate and respond with highly effective creative solutions based on project knowledge and the information available. The end result will be a highly effective creative solution that is rooted in process and relationships with open communication and trust. Principal Partner, Array Creative Inc.